You read it right. Who are/were the meanest guys on the mat? Not mean just to be that way and not dirty or cheating, but hard wrestling and punishing opponents. I'll take two brothers to start - Mark Schultz and Dave Schultz. Both were punishing. Dave would put a guy in a world of pain and after the mat come over and work with him to show him what he did wrong. Mark was a former champion gymnast and his strength was off the charts, something he used at times to punish opponents. One often overlooked because he was a gentleman on the mat who did not believe in running up scores on opponents was Yojo Uetake at Oklahoma State University. He did not embarass opponents. One time called for stalling by the referee he went to work - and his opponent suffered big time for it. I talked with the opponent later and all he would say - even decades later now - is "he hurt me bad". Uetake was the real deal. So, how about your Mean as hell Mat men? Zain Retherford at least is the most recent one. It seemed like being on the mat with him was the least fun out of all the guys you could wrestle. I'm thinking Steveson is going to make this list as the years go by. Mocco has to be up there as well. Actually, he did say one other thing. He told the ref to mind his own business next time! There are some guys that are truly mean on the mat, and a whole bunch more that want to look mean. Since the OP did not limit to NCAA I will say Karelin. Your health was always at risk with that guy. Sean Gray. Sean at 141, was one of my lifting partners my freshman year. Strong as an ox. We were wrestling UVA, right after the All Star match where he was up big and gassed against Schwab. The UVA coach said "don't worry he'll gas like he did last weekend". Gray immediately doubled the guy, took him to his back, picked him up off his back and carried him to the edge so he could yell at the UVA coaching staff while refusing to pin the opponent. As he went through the lines shaking hands, we all got a little chippy and didn't get to finish up. Meanest guys on the mat? I like how he's already angling towards being a heel. He cracks me up. I have to say I like his style. Plus, bald men are superior. Don't ask me, ask Telly...or Cael.....or Mr Clean. 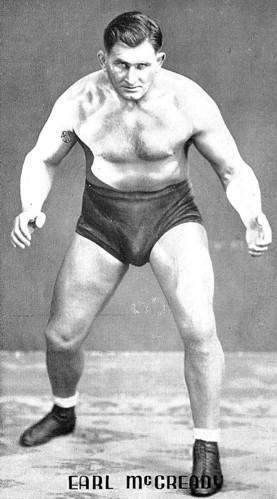 My HS teammate wrestled Jim Zalesky in college once. That was enough. Said it was the most pain he'd ever felt and pretty much pinned himself to get it over with. 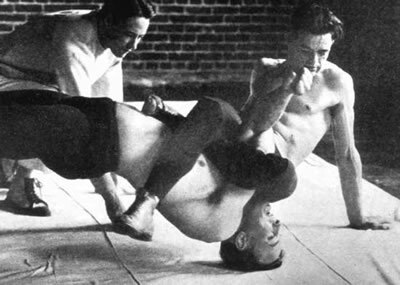 Wade Schalles (Husker Du's favorite), was a mean pinning machine....at his clinics he often stressed "legal pain" or "creating discomfort". I remember one of the ads in AWN mag back in the day used to include a photo of him pinning some poor guy all pretzel'd up with a spladle....dude looked like his head was about to pop off, literally. Meanest guy, not biggest jerk. Reminds when Cary was in the state semi... I think his freshman year... when the ref asked the told the kid wrestling him: "It's your choice, what do you choose?" The kid answered: "The other bracket!!!" One measure of how to be constructively and destructively "mean" ("bad" as good) is to be relentless in one's attacks and to be forever pressing so as to go beyond a mere win and to get the pin or obtain complete or near dominance. In other words, to break one's opponent. In this sense, Mr. Nolf has to be included in the conversation. Jimmy is now one of the best club coaches in the WPIAL and is the best coach for instruction for riding legs.